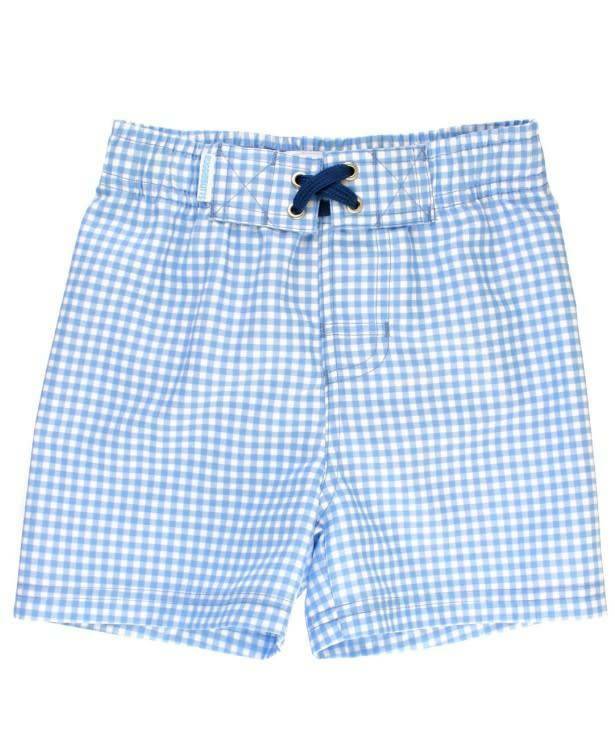 Your little guy is going to look so cute in these bright blue gingham swim trunks! The adjustable elastic waistband is sure to keep the trunks snug and in place as he's running around on the beach. Features an adjustable waist with drawstring tie.